The local election that took place on June 3, 2018 impacted Moldova’s domestic affairs as well as the relations with the development partners. Invalidating the results of Chisinau local elections led to political crisis and required the Euro-Atlantic partners to state their critical position. As a result, the Republic of Moldova was denied the disbursement of the first macro-financial support installment until the political issues will be addressed. In addition, the legislative package on budgetary and fiscal changes and capital amnesty measures, approved in the Parliament on July 26, questioned the sincerity of the authorities and ruling political elites’ intentions to implement the European association roadmap. Andrei Năstase, the leader of the Justice and Truth Political Platform, won the local elections in Chisinau leaving behind his counter-candidate Ion Cioban, the representative of the Party of Socialists, with 52.57% of votes against 47.43%. Although the elections were declared free and fair by the international observers, the Chisinau Court of Appeal regarded positively the Socialist Party’s complaint referring to Andrei Nastase’s violations of the electoral legislation by campaigning in social media on the electionday. Based on this argument, the Chisinau Court of Appeal invalidated the early elections in Chisinau, a decision subsequently supported by the Supreme Court of Justice. As the court’s arguments are not regarded as serious proof, the taken decision was qualified as a political interference in the act of justice of the ruling political elites. Such a decision is difficult to justify and it does indicate a deficient and vulnerable justice system. In order to calm down the spirits, the representatives of the Democratic Party proposed to review the Electoral Code in order to clearly specify the provision and introduce necessary adjustments. All opposition parties (the Justice and Truth Political Platform, the Liberal Democrat Party, the Action and Solidarity Party) and the main development partners of the Republic of Moldova (the European institutions, the EU Member States and the US) expressed their deep concern about the lack of transparency, but also the obvious politicization of the decision, highlighted the lack of independence of the justice pillar and the degradation of the democratic institutions. On July 5, the European Parliament with 343 votes out of 538 adopted a resolution on the political crisis in Moldova following the invalidation of local elections in Chisinau, which reported serious violations and deviations from the guiding principles of a democratic state. Both the EU institutions and the United States drew attention to potential dangers for the parliamentary elections due to take place on February 24, 2019. By refusing to assign the elected Mayor, the Moldovan citizens were deprived of their fundamental right: to elect and to be elected. Moreover, this decision postponed the elections for the next year when the regular general local elections should be held. The current political crisis confirms the continuous increase of the autocracy level in Moldova and suggests serious drawbacks in the initiated reforms. Furthermore, it raises concerns about the future parliamentary elections which disregarding the Venice Commission advice will be held under the mixed electoral system. Possible cover up of the “one billion theft”? Another aspect, which the European Parliament’s resolution refers to, is the investigation of a bank fraud back in 2014. European partners regret the minimum progress and urge the authorities to make every effort to recover the missing funds amounting to 1 billion USD and to hold accountable the persons involved regardless of their political affiliation or other criteria and restore citizens’ confidence. This message was conveyed for the entire year using various formats of cooperation and strategic documents: The Council of the European Union meeting of February 26, the Progress Report on the implementation of the Moldova-EU Association Agreement presented on April 5, and the EU – Moldova Association Council meeting on May 3. However, disregarding the partner’s messages, an alarming package of laws was adopted by the Parliament of the Republic of Moldova speedily, in two readings and in the absence of most parliamentary factions: the Liberal Party, the Communist Party, the Liberal Democrat Party and the Socialist Party. At the end of the spring-summer session, budgetary and fiscal changes were approved with 56 votes of MPs (out of 101) from the Democratic and European People’s Parties implying a package of tax initiatives and capital amnesty. The Speaker of the Parliament, Adrian Candu, declared that the current legal acts are in the interests of the citizens. At the same time, Igor Dodon reminded of the “positive impact” of similar laws developed by him in 2006 and 2007, which, in his words, enjoyed the support of the foreign partners. The statements of President Dodon are very smooth, taking into account his previous desire to fight the rooted corruption and uncover the one billion theft scheme. One might think that he tacitly agrees with the approved amendments and supports his so-called ”rivals”. A potential understanding between Dodon and the Party of Socialists on one hand and the Governing Coalition on the other hand is considered in view of possible arrangements before and after the Parliamentary elections in 2019. This kind of cooperation occurred during the 2016 presidential elections and more recently the local mayoral elections in Chisinau. Such a scenario will crumble the already endangered European path of Moldova even more and foresee the reversibility of the European future in practical terms without the need to denounce the Association Agreement. The representatives of the civil society also took a stand issuing the position paper which condemns the adoption of the draft law on voluntary declaration and fiscal facilitation and president’s request to cancel the promulgation of the adopted law. The experts draw attention to the fact that the intention of fiscal amnesty is disguised by tax reforms and although some of the reforms have been long awaited for, they will deepen and encourage corruption in a long run. Suspicions are raised also due to the manner the budgetary and fiscal amendments were done. The draft law on voluntary declaration and fiscal facilitation was adopted in a lightning-like regime, with clear violations of democratic processes and lack of transparency. No public hearings on this particular draft law were held during the launch and validation process. Shortly after the local election crisis and the response of the European institutions, the Head of the European Union Delegation to the Republic of Moldova, Peter Michalko, came up with a second critical comment. This time he referred to the new laws on voluntary declaration and fiscal facilitation, noting that the Tax Reform Laws are incompatible with reforms aimed at strengthening the rule of law, combating corruption, money laundering and organized crime and improving the business climate. In a comment on his Facebook account on July 26, Michalko stressed that “the Republic of Moldova has taken commitments with regard to the EU, inter alia under the Association Agreement, Association Agenda and the Memorandum of Understanding on Macro-Financial Assistance, as well as commitments to other international partners”. Also, he urged “the Moldovan authorities to stop the process of adoption of this legislation and to bring it in compliance with international standards”. The International Monetary Fund and the World Bank Group also came up with a response to these legislative acts defining them as incompatible with the program of policy reforms they supported. The preliminary view of IMF experts is that the recently approved package of fiscal and tax changes and capital amortization measures “will increase the regressive nature of the tax system, reduce tax compliance and expose the fiscal system to significant risks”. In addition, the World Bank Group warns that such a decision compromises the Government’s commitment to fight corruption. On July 27, the Council of Europe issued a press release informing about misleading reports in the Moldovan media which “wrongly suggest that the Law on Voluntary Declaration and Fiscal Stimulation, passed by the Moldovan Parliament on July 26, 2018, had been analyzed positively by an expert from the Council of Europe’s Committee on the Evaluation of Anti-Money Laundering Measures and the Financing of Terrorism (MONEYVAL)”. In the same communique it is clarified that “MONEYVAL was not consulted on this law at any stage in the legislative process, nor was any international expert on behalf of MONEYVAL”. Such information confirms the trend, observed for some years, of media independence decrease as well as an increased practice of domestic propaganda. 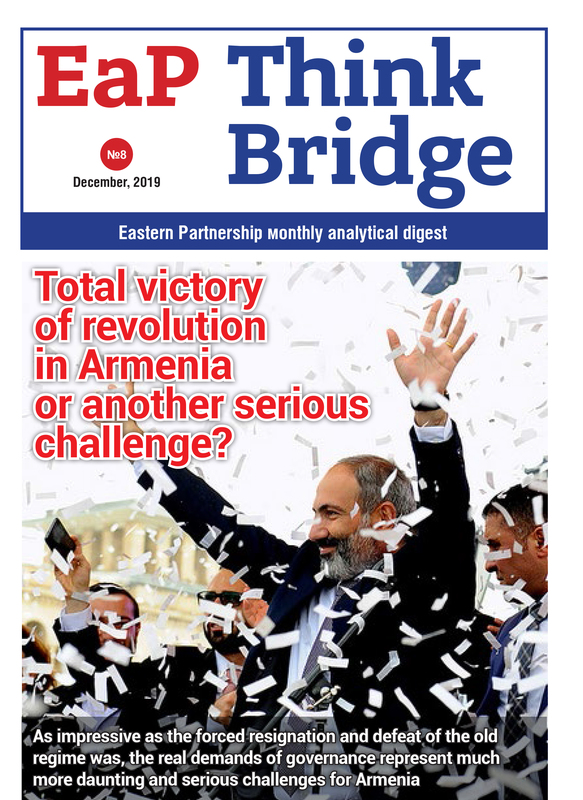 The current domestic crisis deepens the vacuum between the Republic of Moldova’s citizens and the national, regional and local authorities as well as generates a continuous societal split between pro-European and pro-Russian citizens, and a new trend, between pro-democratic and pro- autocratic ones. According to the recent annual survey report elaborated in the framework of the project “OPEN Neighborhood – Communicating for a stronger partnership: connecting with citizens across the Eastern Neighborhood”, the share of Moldovans who tend to trust national, regional and local institutions is extremely low and has been at around the same level since 2016. 84% of Moldovans openly distrust the parliament, 81% – the political parties, 73% – the government and 59% – regional and local authorities. Religious authority is still the highest in the popularity rating (70%). Asked about their views on the way democracy works, 81% of Moldovans expressed their dissatisfaction, corruption and poor governance continuing to be the most problematic areas. Although the level of dissatisfaction with corruption and poor governance is quite high, certain vulnerable layers of the society tend to support corrupted officials, disregarding their criminal background, being attracted by short term financial benefits. This trend weakens even more the rule of law and the good governance system, increases the liabilities of the Moldovan society and reduces the capabilities of Moldova to face different type of security threats. Against the backdrop of concerns expressed by the development partners about the sincerity of the European path of the Republic of Moldova, the ruling coalition continues to officially support the line of internal and external European association policy development pattern. Nevertheless, the contradictory messages with a visible anti-European nature endanger the dialogue with the main development partners and place Moldova in the category of “states at risk”. The current situation not only makes Moldova more vulnerable to external threats, but also lowers citizens’ expectations of a brighter future as Moldovans are more optimistic about their personal future (70%) than the future of their country (50%).